Creative consultant, creative direction, concept, copy and script writing. We are PowerSchool. Won’t you join us? that serves over 15 million students, 800 thousand teachers and 27 million parents. 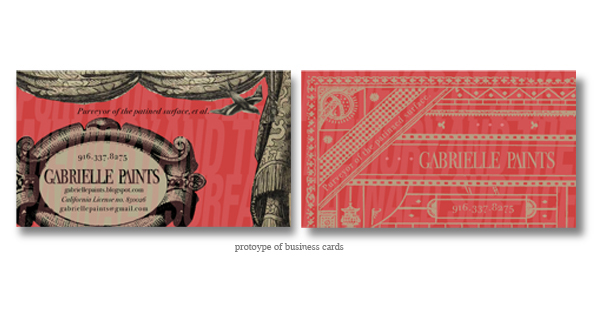 art direction, graphic design, copywriting, logo design, pitch deck design. 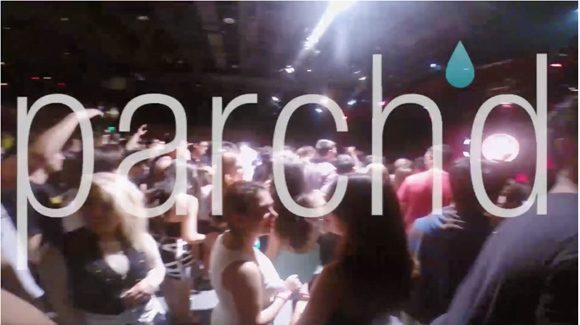 Parch’d is a night-out smartphone app in development. Your people. Your tastes. Your life. 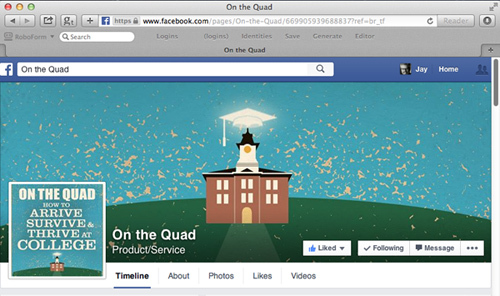 onthequadcollege.com, Facebook page and Amazon store design and copy. 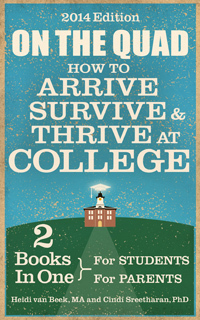 and be a success at the perfect college for you. Brand Strategy, concept, art direction, graphic design, copywriting. Gabrielle Paints—Purveyors of the Patinated Surface. Brand strategy, art direction, graphic design, web design, photography and copy. 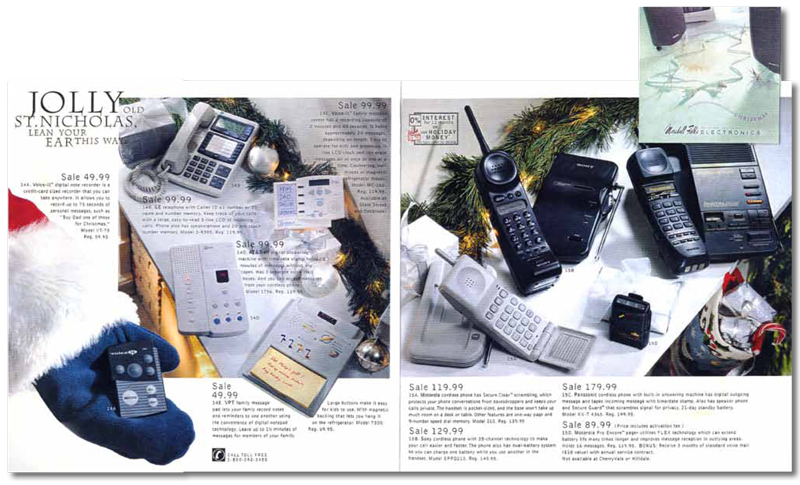 Web site and the Amazon store for 2020 Euro Lens Bath. Our team created new copy strategy, brand materials and a web site to help this social enterprise expand into new markets. It’s a non profit that trains talented youth from urban neighborhoods to create professional-quality videos and to deliver training in both digital and social media. They’ve completed nearly two hundred projects in the last two years and have thousands of hours of experience. There have been as many as 12 languages represented among the multi-cultured Youth Media Consultants and interns. 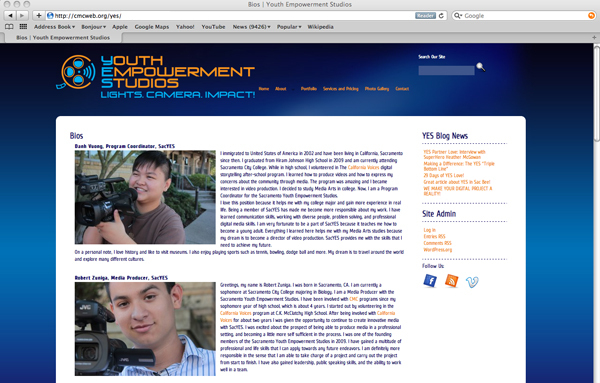 It’s a privilege to work with these bright, young adults and their impressive mentors. 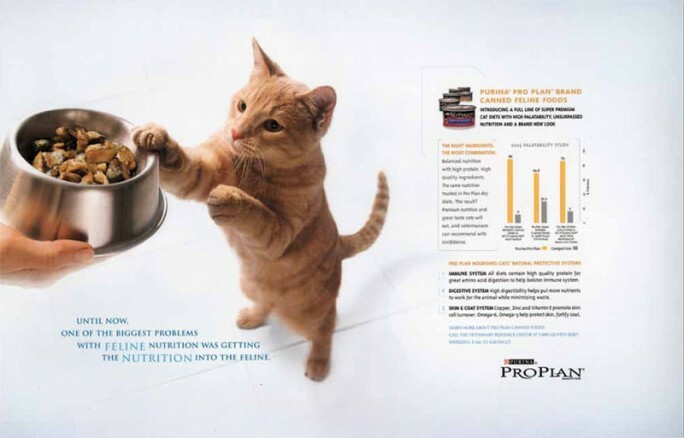 Brand Strategy, consulting art director, copywriting. Age of Champions. Winning Never Gets Old. Web banner for Amtrak California, Double Your Points. Web banner for Amtrak California, Smogtastic. Inspired by vintage automotive logotypes on brass. For Benzin Garage, an instagram magazine of photography for automotive enthusiasts. 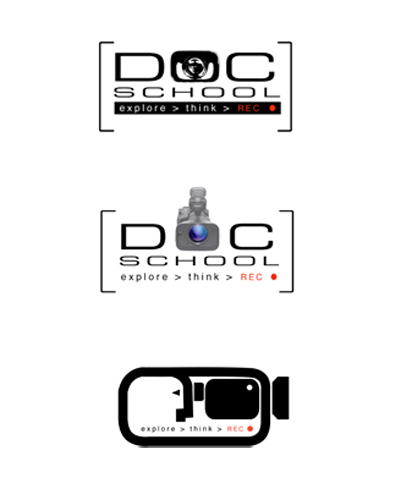 Brand identity and tag line for the Documentary Foundation’s Doc School. students the skills of documentary film making. 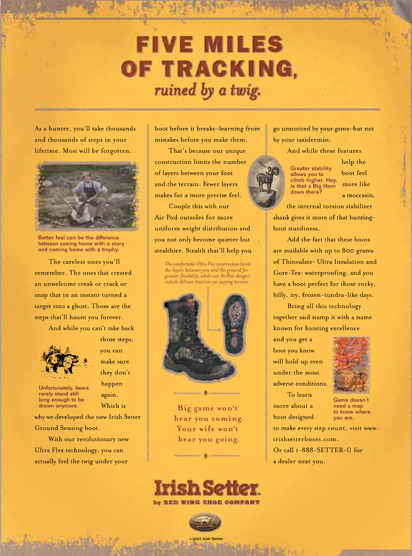 Page ad for Irish Setter Boots by the Red Wing Shoe Company. 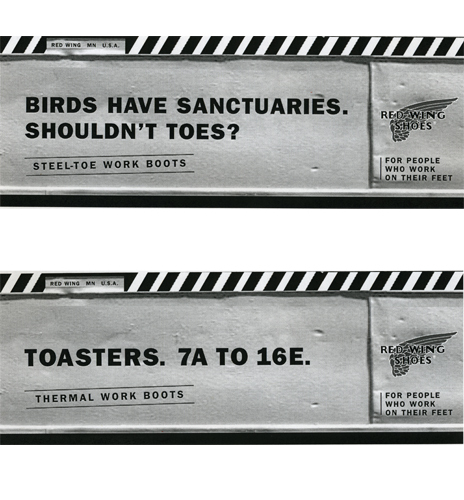 Black & white outdoor boards for the Red Wing Shoe Company. 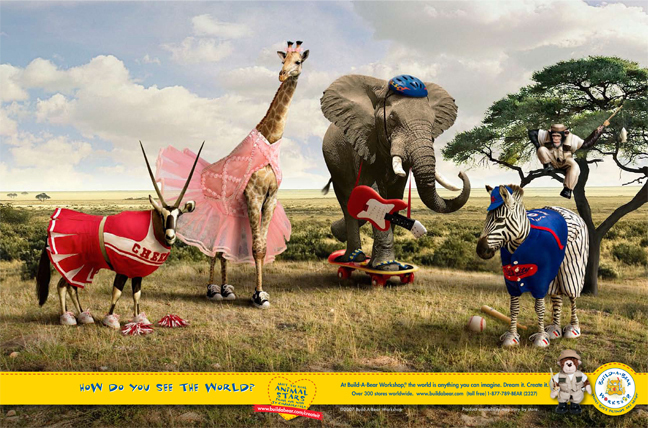 Spread ad, National Geographic Kids magazine for Build-A-Bear Workshop. 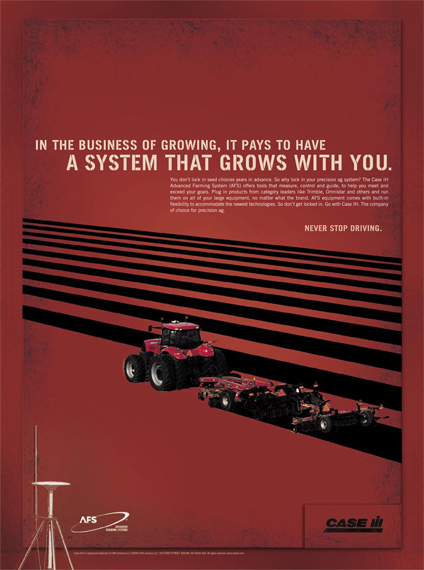 Page ad for Case IH. 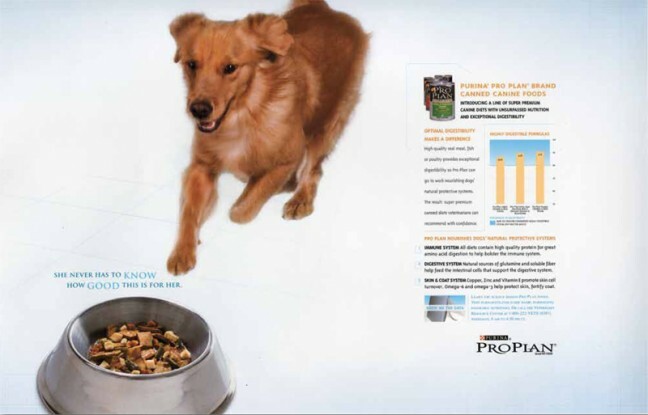 Magazine spread, campaign for Purina ProPlan. 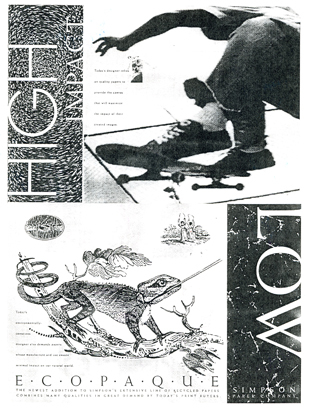 Spec poster for Simpson Paper. 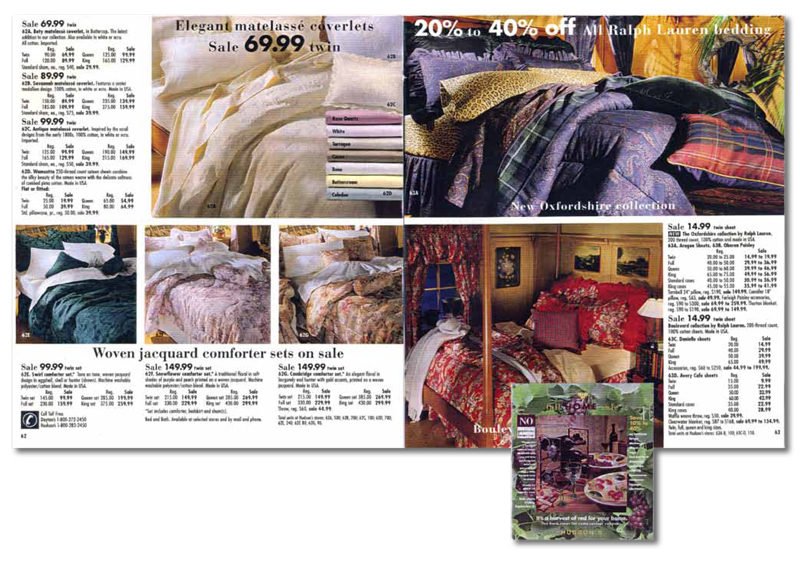 Catalog layout for Marshall Field’s.